Whimsy By Design Whimsy Paint Party is a NEW Paint Party Experience with a TWIST and SpLaSh of Color on YOUR Front Door and added Curb Appeal! Simply aDOORable! 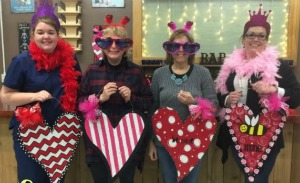 Join us for a Night or Afternoon of Creativity, Friends and Painting Palooza! Step out for an adventure into the Wonderful World of Whimsy! Come connect with friends, and let YOUR imagination and Creativity flow. 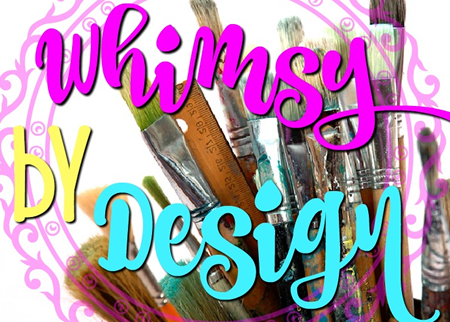 Whimsy Paint Party is a Traveling Paint Party where we offer private paint parties for Your Friends and Family, Girls Night Out, Ladies Day In, FUNdraising Events and of course Custom Orders! We partner with area restaurants to support local in Central Illinois. Order some drinks, appetizers and even dinner. Enjoy the experience while painting a customized, completed by YOU piece of Art! Please see our Whimsy Website for examples of designs! Our Clients enjoy an experience of Fantastic FUN with Great Local Atmosphere! We follow an informal Instruction where we provide painting direction with multiple techniques used to complete Your Whimsical Work of Art! All Supplies are included to complete project with Wire Hanger and accent Bow to Top it Off. At the completion of the session, all are ready to Take their Whimsical SpLaSh of Color to place on their Front Door or that Special place in their Home! Oh the Wonderful World of Whimsy..Whimsy Paint Party! No experience is Necessary! Our first time painters are ecstatic and extremely HaPpY at their completed masterpiece and want to know when the next session is and what we will be painting! 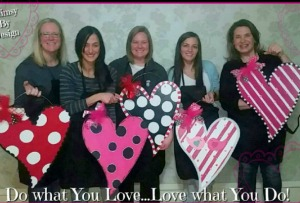 Open Paint Sessions, Private Paint Parties, FUNdraisers and Custom Orders!